Taken from Rocknest, the image above includes the site named Point Lake and is the center of the scene in the panorama below. After taking the many images stitched together for the panorama, Curiosity drove 83 feet (25.3 meters) to Point Lake on 18 November 2012. From Point Lake, Curiosity’s MastCam is taking another series for a panorama in order to identify candidates for the first effort to drill into a Martian rock. 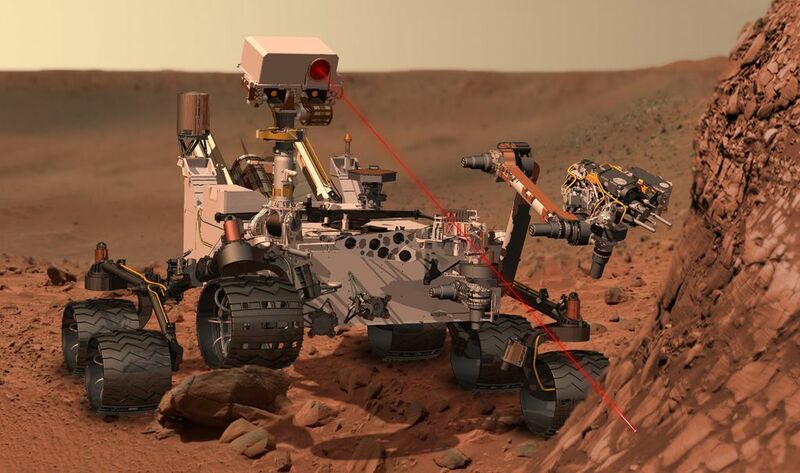 Curiosity set down at Bradbury Landing (see below) on Mars at 10:32 PM PDT on 5 August 2012 and has finished her first hundred Sols. 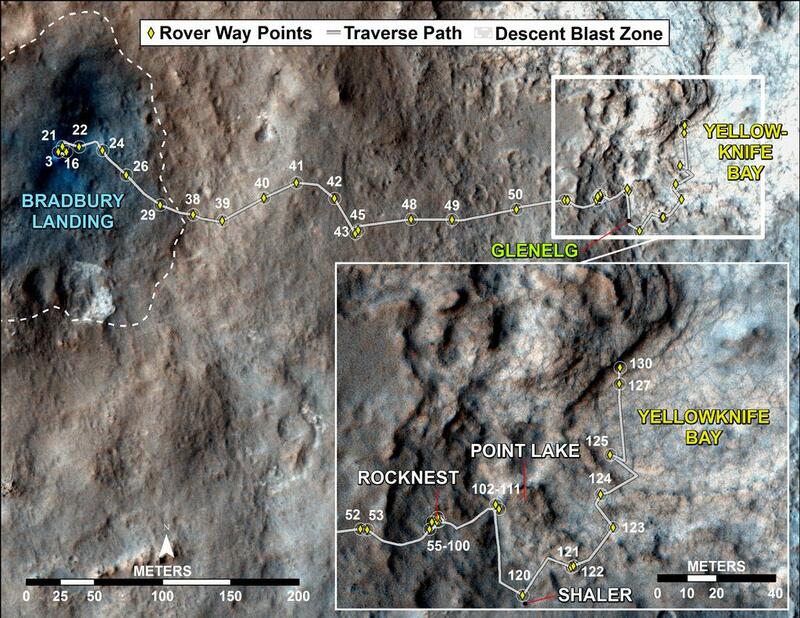 The image below maps out the route from Bradbury Landing to the mixed terrain at Glenelg, which marks the first major destination for the rover. Curiosity spent the first three weeks checking out her equipment. 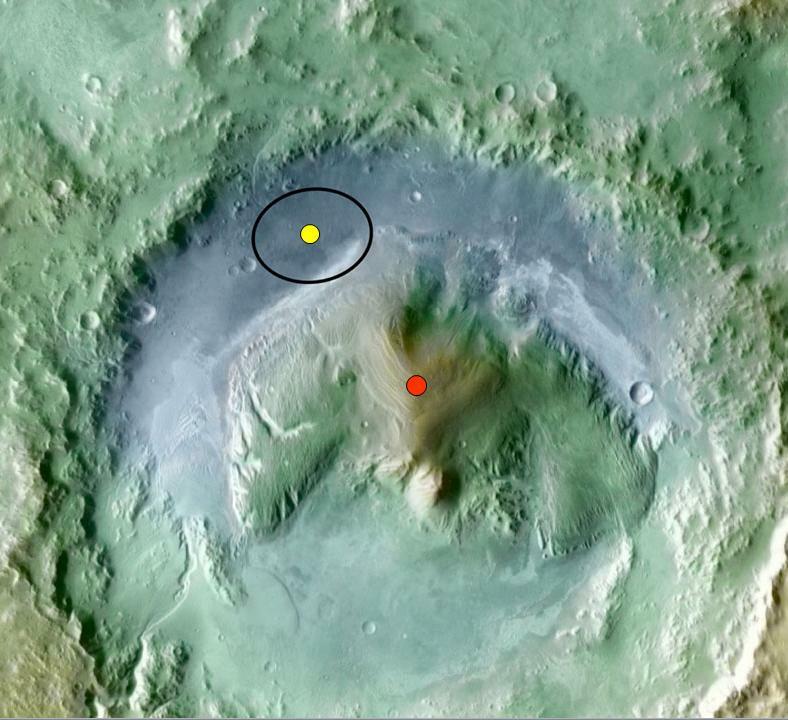 The discolored and disturbed area around the landing site resulted from the blast of the rocket engines that settled Curiosity on the surface. While there, she used her Laser and ChemCam on a rock called “Coronation” to obtain some early measurements. Then she started moving. 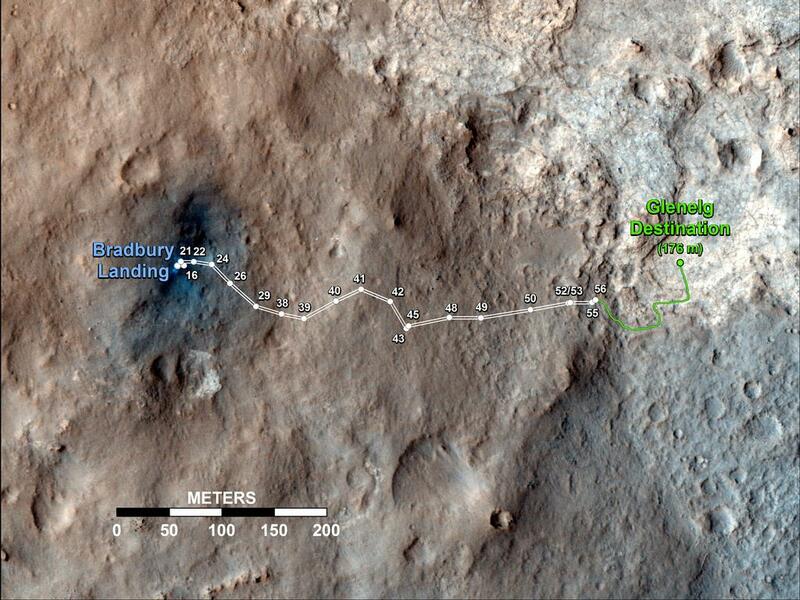 By Sol 30, Curiosity was more than 100 yards from where she landed, and began testing her robotic arm. 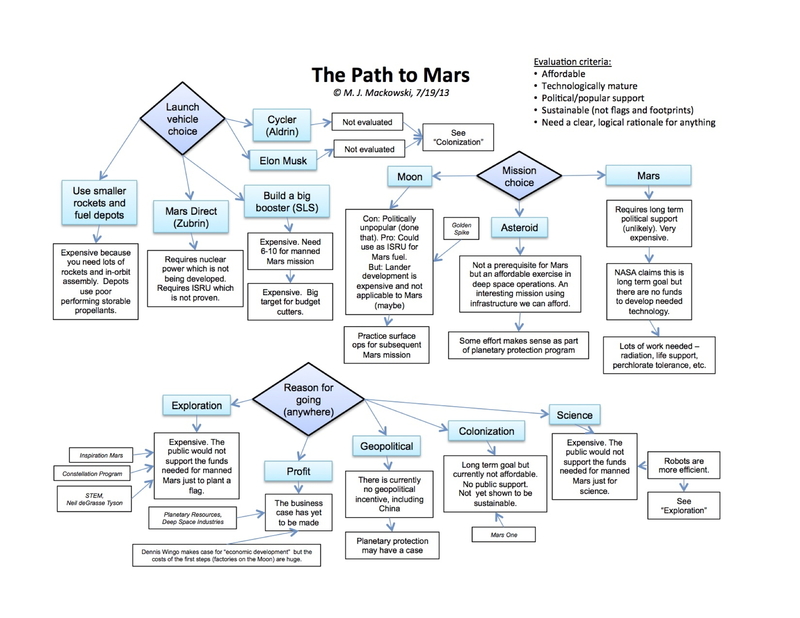 At the end of testing the arm, Curiosity was five weeks into her two years of planned exploration. 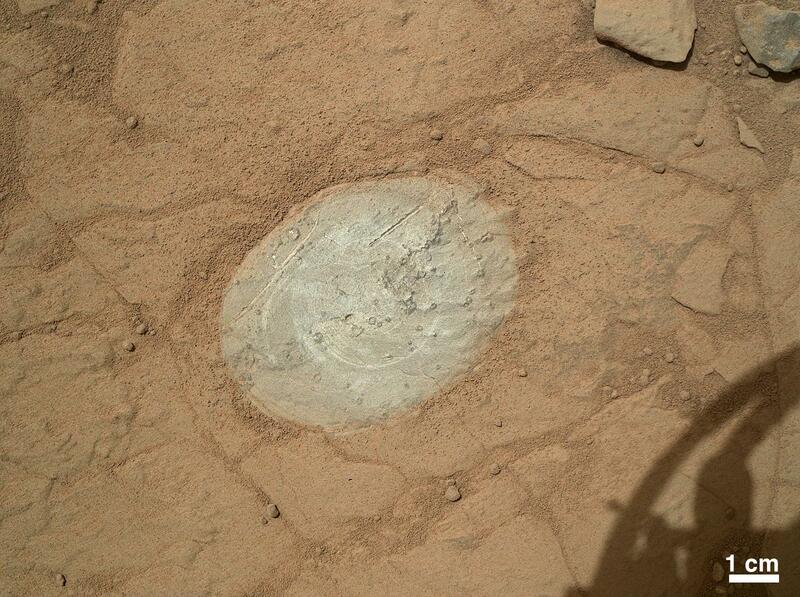 She then set out on a drive of 20 sols to a site called “Rocknest”. The center of the 360 degree panorama (below) is due South. 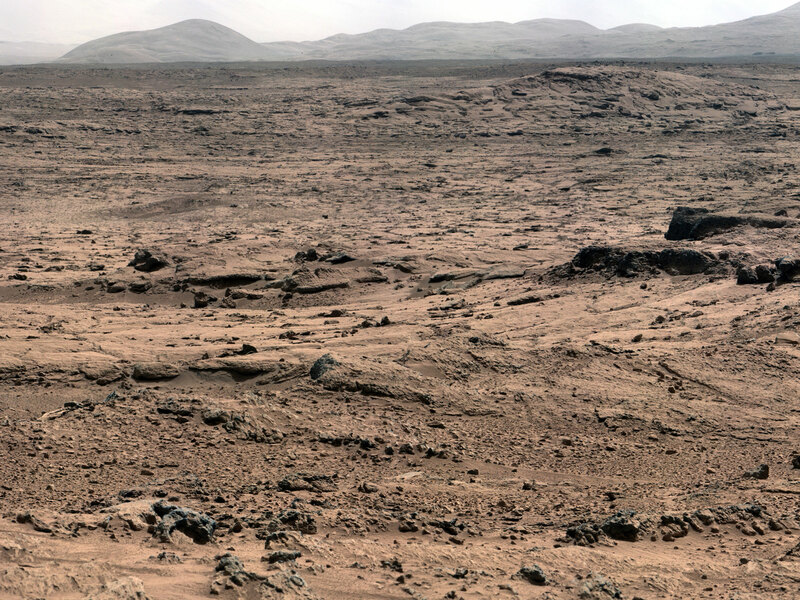 Mount Sharp (in the center of Gale Crater) is off to the left. “Rocknest” is off to the right. 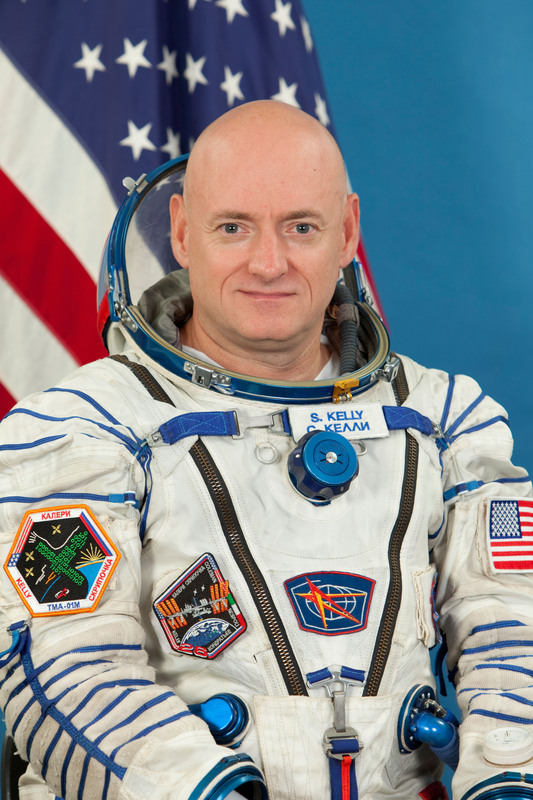 The edges of the image are due North. Click on the image to enlarge. 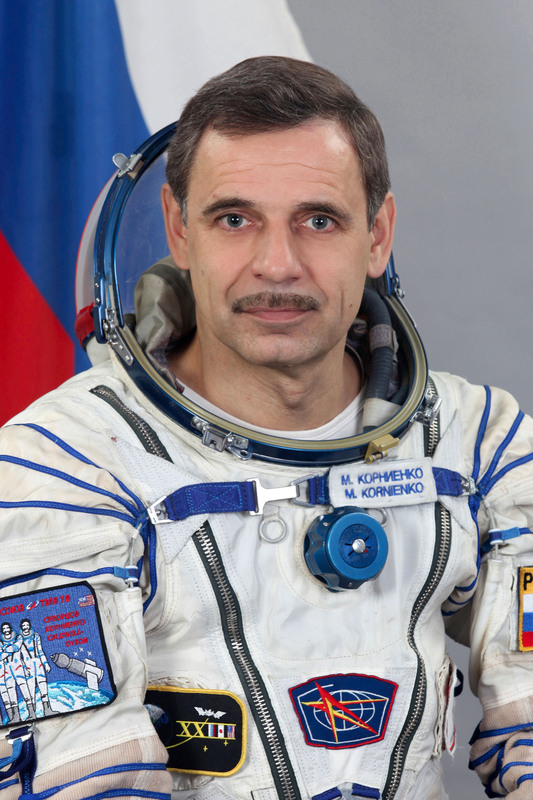 Below are two images. On the left is a picture of one of the trenches left by the scoop on the robotic arm. To the right is a close up of the scoop (1.5 x 2.5 inches) filled with the fine dust and sand from “Rocknest”. Mars rover Curiosity has completed initial experiments showing the mineralogy of Martian soil is similar to weathered basaltic soils of volcanic origin in Hawaii, with significant amounts of feldspar, pyroxene and olivine. A few days ago, she resumed her journey toward Glenelg.